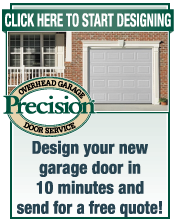 Get a Free Estimate On NEW Garage Doors by calling Precision today! We carry a large selection of garage doors. We know that finding the color and style that look best on your home is the only way you will be truly happy with your new garage door. Today there are almost as many choices as there are houses, so we created our garage door designer. The designer allows you to try combinations of panels option, windows and colors until you find the right door for you. You Can Try The Designer Here. In addition to a large variety of traditional garage door styles, we offer modern garage doors that will transform the facade of any home. Glass Garage Doors represent the ultimate in contemporary design. They are available in 3 transparencies with multiple frame colors to choose from. To check out some of the glass doors available click here. Our Newest Carriage House Line puts a modern spin on this classic. These doors are available with 14 panel options, 4 color options and 12 windows designs from which to select. With so many combinations we are sure to find the one that best suits your home! 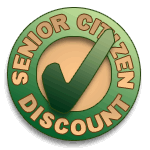 Call now for a free price quote. Carries workmen's compensation insurance., liability, auto and provides proof upon request. 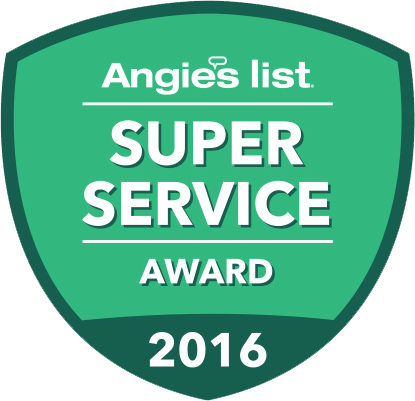 Uniformed technicians in clean, clearly marked vehicles will arrive at your home at the scheduled time.